Huffman Engineering, Inc. is a CSIA Certified provider of system integration solutions, and has been a CSIA Certified Member since passing its first certification audit in 2005. The CSIA Certified Member Logo is displayed only by those firms that have passed a third-party Best Practices audit and have received the designation of “Certified Member” by CSIACSIA Certification, similar to ISO 9000, audits 8 (eight) different business areas including project management, quality assurance management, sales management, and other business practices. 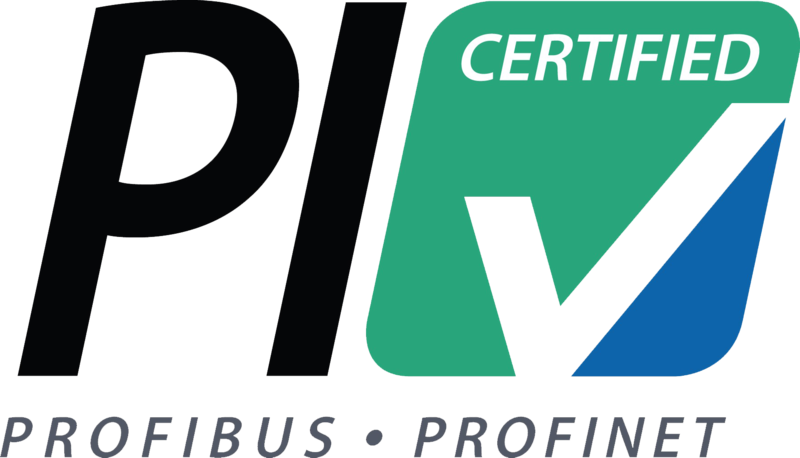 For plant managers, directors of quality assurance and other company leaders, certification is a pre-screening mechanism that saves them time in their search and reduces risk. 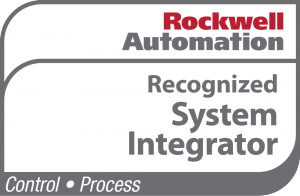 Rockwell Automation awards a partner certificate to those integrators who have demonstrated abilities in process integration. 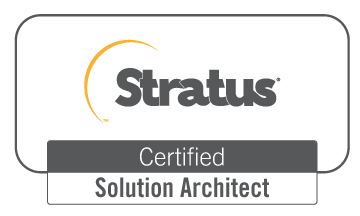 The Process Systems Integrator designation is given to integrators who meet the series of requirements and standards in Rockwell Automation’s Solution Provider program Huffman Engineering, Inc. is the only integrator in Nebraska to hold this certificate. The program offers system integrators the chance to continually enhance competencies and capabilities across multiple disciplines: control, information, process, safety and manufacturing operations. The program is also designed to educate and produce qualified partners who are able to help solve production challenges by advising on and delivering the best solution with the lowest amount of risk. Huffman Engineering, Inc. has held various certificates in recognition since 1993. To learn more about Rockwell Automation System Integrators, click here. Huffman Engineering, Inc. has completed numerous projects with software owned by Schneider Electric. The Huffman team has extensive experience with Citect, a program owned by Schneider Electric. Familiarity with older legacy systems indicates Huffman Engineering’s ability to provide upgrades and solutions for older systems to the newer Schneider systems. 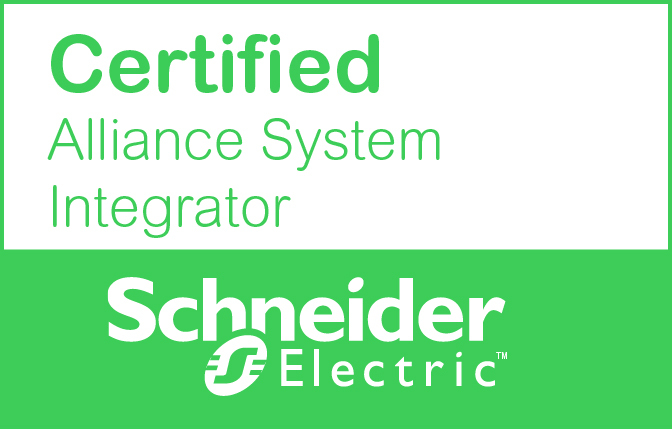 To learn more, visit Schneider Electric here. Wonderware Certified System Integrator Partners are highly-skilled professionals who deliver expert industrial automation services using market-leading Wonderware software, and have third-party verification of numerous successful projects in a wide-range of technologies. Wonderware Registered Partners gain access to development systems and resources, contributing to successful projects. Huffman Engineering has completed Wonderware projects in a variety of applications, including the utilities and food and beverage industries. Click here to learn more about Wonderware System Integrator program. Ignition by Inductive Automation is a powerful web-based industrial software platform with tools for the control of and reporting on cross-platform manufacturing and process automation equipment, including linking manufacturing execution systems (MES), supervisory control and data acquisition (SCADA) and the Industrial Internet of Things (IIoT). 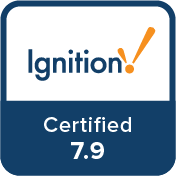 Huffman engineers are qualified in the recently released Ignition version 7.9. Visit Inductive Automation’s website to learn more about the Ignition Integrator program. 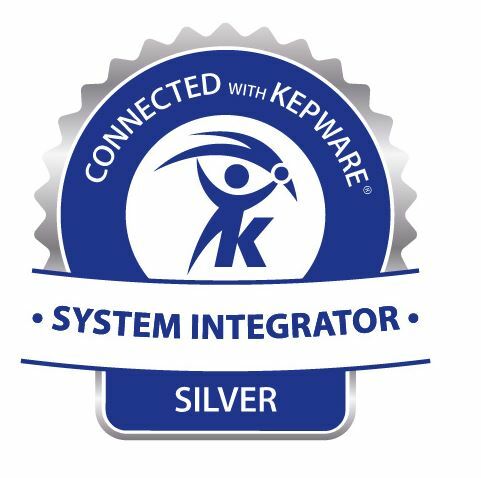 As a silver-level Connected System Integrator, Huffman Engineering has Kepware application experience, meets standard product training qualifications, and provides customers with post-sale assistance. Kepware provides a portfolio of software solutions to help businesses connect diverse automation devices and software applications and enable the Industrial Internet of Things. From plant floor to wellsite to windfarm, Kepware serves a wide range of customers in a variety of vertical markets. Our affiliation with professional organizations gives us an even greater base of knowledge from which to draw.